Stock images have enhanced my blog posts, articles and websites. Without them, my websites might as well look like a wall of text – something that’s not very inviting or friendly for people to see and visit. This is the year of digital innovation. Many driving forces are moving businesses to join the digital landscape and the most prominent force is marketing. As a marketer, I find it almost impossible to do my job without stock images. This new year harbors a lot of promises on the very near horizon. There is almost an excitement in the air that can be felt when we look at what might be in store – not just for us as marketers, but for entire industries. Stock images have enhanced my blog posts, articles and websites. Without them, my websites might as well look like a wall of text – something that’s not very inviting or friendly for people to see and visit. 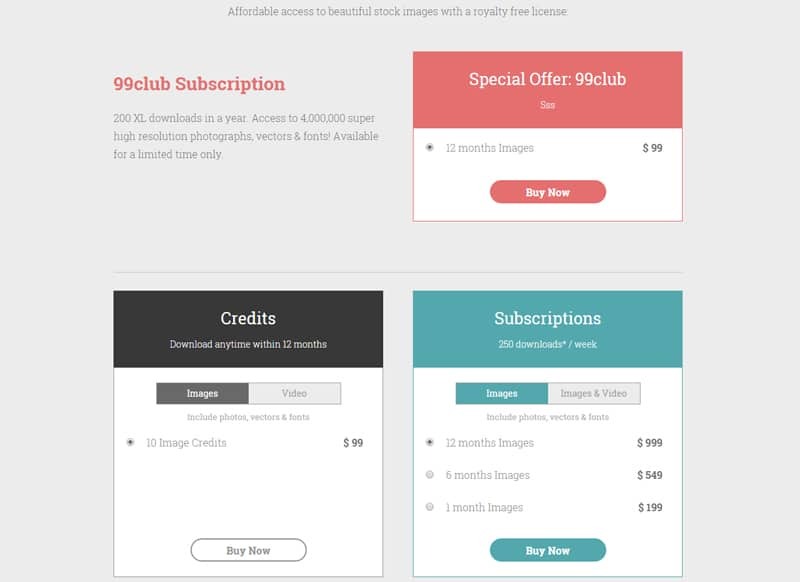 The Internet is full of stock photo agencies me to choose from, but here’s why I chose the 99Club. Small businesses have a lot on their plate. Some people have three or four projects open at a time. It can almost be impossible to find time for it all. Furthermore, as a small-business owner, it can be tough to stick with one project and stay on task. One of the tasks I have on my plate – on a consistent basis – is trying to select the right photos for my projects. Honestly, this is where other stock photo agencies fall short. It seems as if they only cater to large corporations with seemingly endless budgets. It can be tough to find a stock agency that provides a decent library of photos for the right price. Furthermore, I don’t want limits to be placed on my ability to download photos. I found that many stock agencies place a cap on how many images I can download per day, per week and even per month. It seems that I have very specific requirements when it comes to choosing the right stock photo agency. I chose the 99Club because it has over 4 million photos to choose from and I found it for the right price. There are a lot of ways I can spend $99. On the surface, it seems like it’s a lot of money. However, I can easily go on a shopping trip and spend more than that in 10 minutes. It doesn’t feel that money goes quite as far as it used to. With the 99Club, I have my stock photo needs taken care of. It takes a tremendous weight off my shoulders knowing that I have access to 200 downloads to use over an entire year from Stock Photo Secrets. If I need more, each download will only cost me $.99. As an on-demand service, it’s a much better deal than paying between the $10 and $15 per photo that I have found with other stock photo agencies. In fact, when you do the math, 200 downloads for $99 comes out to less than $.50 per download. Since I’m paying the $99 upfront, I don’t need to worry about paying for the photos as I use them. They’re already paid for. That’s the one thing the 99Club does that separates them from the rest. They understand that I don’t need 750 photos per month. They understand that I don’t have a budget of $500 per month to spend on stock photos. On top of that, they’re not charging me $10 per download. It really feels as if the 99Club was created to cater to small-business owners. They may not have that 70 million images in the library, but they have far more than I’ll ever need in my projects. To top it all off, I couldn’t ask for higher quality images than what I get what the 99Club. Short for “Extra Extra Large,” the XXL images you find can be blown up to large sizes without losing quality. Coming straight from their website, this is how Stock Photo Secrets defines an XXL image. Most of the time, I don’t need to print on size A3 paper. Once again, this takes another weight off my mind – I don’t need to worry about the quality of the photo I’m downloading. If I need to make it larger, I can do that without the image turning into a pixelated mess. There are some things that money can’t buy – and quality is one of them. Most stock photo agencies offer royalty-free licenses when they sell their images to a customer or client. However, not all royalty-free licenses are made the same. There are many similarities, but there are also a few differences that are unique to the agency that you obtain the photo from. 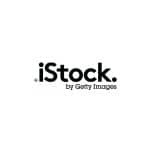 Stock Photo Secrets offers a royalty-free license with all of their downloads in the 99Club. This is what it means – this is the power of a royalty-free license. Royalty-free images are not exclusive. In other words, it means that the image can be used by everyone who licenses the image. If more than one person wants to download a specific image under the royalty-free license, then more than one person is free to use the same image. With over 4 million images to choose from, the chances of the same image being used at the same time are slim. Once you have a royalty-free license for an image that you downloaded, it will always be tied to your account. You could make some extra room on your hard drive to store your personal library, but it’s not necessary. Once you use the image, you can use it again and again in the future – without an expiration date. If you ever lose the image on your computer, you can always log in and download it again without paying for it again. Royalty-free does not imply that the image is free. Instead, it simply means that you don’t need to pay an additional royalty fee every time you wish to use the image. “Multiple uses” does not mean “infinite uses.” There is a cap placed on royalty-free licenses that will tell you how many times you can use it, usually called an “impression.” Stock Photo Secrets will let me use any of my downloads up to 300,000 times. This is what I mean by the 99Club catering to small businesses. As a small-business owner, I don’t see the need to print the image that many times. In fact, it doesn’t even come close. In my mind, I can use it in an advertisement or on my blog post and not have to worry about how many times I can use it – I’ll never reach my limit. The only thing I can’t do is use it on my products that I sell. In other words, I can’t use an image on a custom calendar, a T-shirt or even a mug. For that, I need an extended license. Royalty-free licenses don’t have geographic limitations. This means that I can run an advertising campaign in other countries without worrying about where I’m using the images. Since I’m only using the images for my blog posts and articles, I don’t really need to worry about that. If you’re not in the habit of reading the fine print, it might not be a bad idea for you to start doing it. Royalty-free licenses have differences depending on the agency you license the image from. For the most part, the license remains the same. However, if you have any questions, make sure you read the terms and conditions of the royalty-free license from the agency that you license the image from. I wrote this review because I was once in a position where I didn’t know which stock agency could really fit the needs of a small business. It can really take a lot of your time to go from one stock agency to another trying to find one that fits your needs. I know I spent a lot of time doing that. Stock Photo Secrets has a library of over 4 million photos. For me and my needs, that is more than enough. In the future that may change – Stock Photo Secrets says that they add 80,000 images per month to their library. One of the keys to running my business is my budget. As I said before, I don’t have $500 per month to be spending on images. I really like knowing that in the future, I can have room in my budget for the 99Club. When I joined, I was promised that my price would never change as long as I remain a member. That means I paid $99 to join, and when it comes time to renew again in another year, I already know what the price is going to be. That means when I make my budget for the year, I don’t need to worry about my price ever changing – yet another way that Stock Photo Secrets takes care of me as a small-business owner.